Need a Manual and the CAPS program? What is a turbo timer, and why I may or may not need one? What Cams Do I Have, and What Are The Differences? What is the stock boost pressure on a DSM? How can I reduce the weight of my DSM? Has anyone used an Optima brand (red-top, yellow-top) battery in a DSM? Has anyone ever installed a push-button start switch in a DSM? What is the safe limit for exhaust gas temperature (EGT) on a DSM? 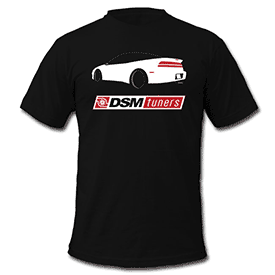 Has anyone ever removed the rear wing from a DSM? How do I program a keyless remote for my DSM? Does my DSM have a 6-bolt or 7-bolt motor? What is lifter tick? How can I stop lifter tick? Why is my dipstick popping out? How do I remove the boost control solenoid (BCS) restrictor? My base idle set screw (BISS) will not come out. How do I remove it? Is there a transfer case recall for my DSM? Is there a recall for ball joints on 2G DSMs?